Vueling promotion voucher code 2018 - €10 discount off flights! Booking.com promo sale 2018 – secret deals with up to 50% discount! Vueling promotion voucher code 2018 – €10 discount off flights! This discount is no longer available. 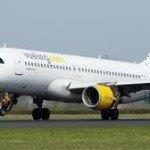 You can find last Vueling promo code in this article.